As the Commonwealth Games draw to a close, Aussies are inspired to venture into new sports. A third of Aussies that participate in sport suffer from a sports injury every year. During Osteopathy Awareness Week (15th – 21st April), Jessica Gallagher and Osteopathy Australia are encouraging people to #GiveItAGo, whilst preventing sports injuries. As the Commonwealth Games draw to a close, the excitement of a sporting event hosted at home has inspired the nation, many of whom will be encouraged to venture into a new sport. However, transitioning between sports, and making our bodies move in different ways, without preparation, puts us at risk of injury. While almost two thirds (59%) of Aussies participate in sports, a staggering 1 in 3 (37%) of those will struggle with a sport-related injury each year. Sustaining a sports injury can not only end a season, but also put livelihoods at risk. Jessica Gallagher is the only Australian Olympic and Paralympic athlete to win both summer and winter medals and is no stranger to transitioning into different sports, having represented Australia in alpine skiing, athletics and most recently track cycling. “Transitioning between sports has and always will be incredibly challenging. There is a very high risk of injury and dysfunction, as an athlete’s body is so finely tuned to suit their particular sport.” says Gallagher. Osteopathy is a drug free therapy for injury and can be used as a preventative measure to prepare the body when transitioning between sports. The technique includes stretches, massage and mobilisation of specific joints and soft tissues to maintain optimum physical condition. Osteopaths offer exercise rehabilitation, exercise advice or prescription, lifestyle advice and education where appropriate. Sports osteopaths can enhance performance and improve muscle strength, rehabilitate and prevent future injuries. 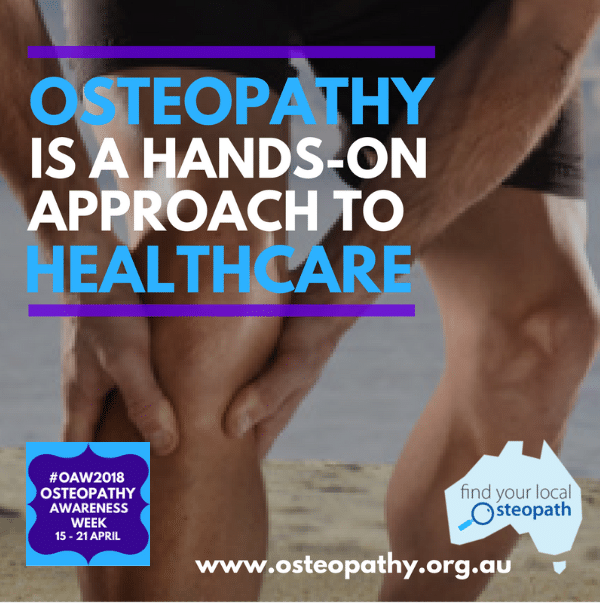 Antony Nicholas, CEO at Osteopathy Australia says, “A lot of the general public think osteopathy is all about back pain; however, many weekend warriors and successful sports people see an osteopath to treat a wide range of sporting injuries and improve their performance. During Osteopathy Awareness Week (15th – 21st April), Jessica Gallagher has joined forces with Osteopathy Australia to encourage people to #GiveItAGo and offers advice on transitioning between sports whilst preventing sports injuries. Mr Nicholas says, “Being active and playing in sport has so many amazing health and social benefits, why not see an osteopath to help you perform in your chosen sport and enjoy it for years to come!